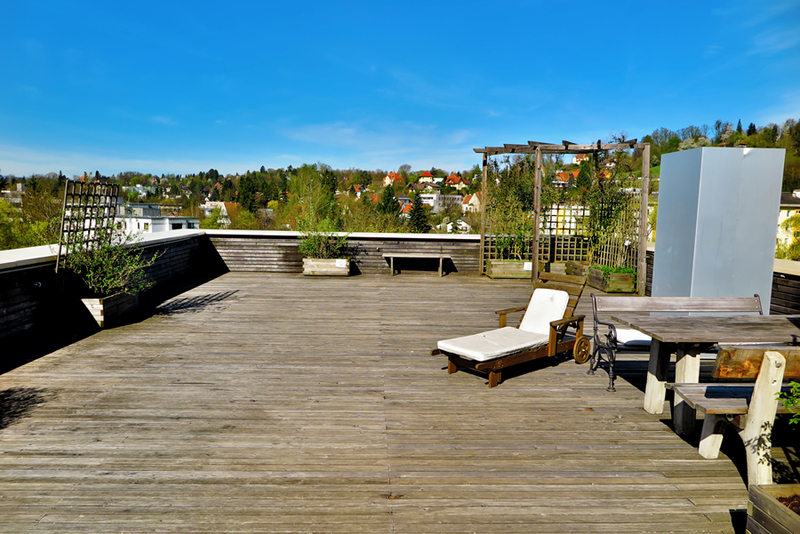 We have a big sunny roof deck that is accessible for all residents. There are tables and benches where you can enjoy the sun while studying. 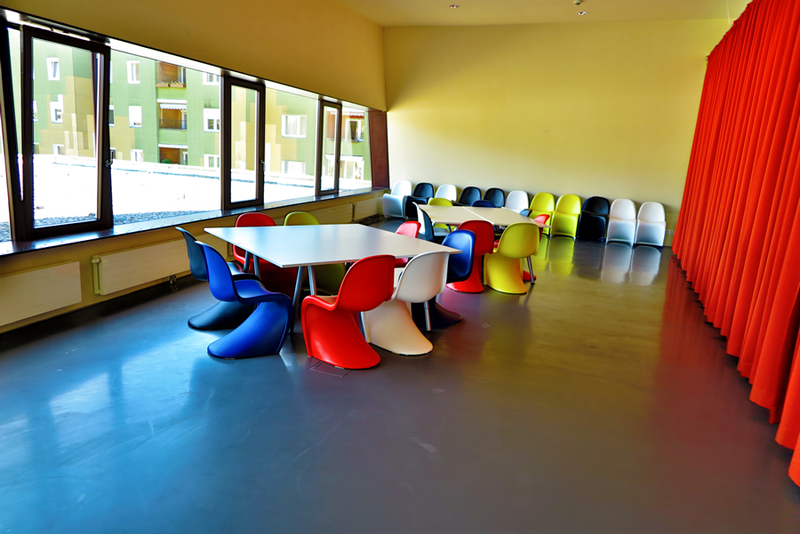 There are seminar rooms in the 4th floor that can be used for studying or different activities. We provide 3 music rooms for our music lovers. 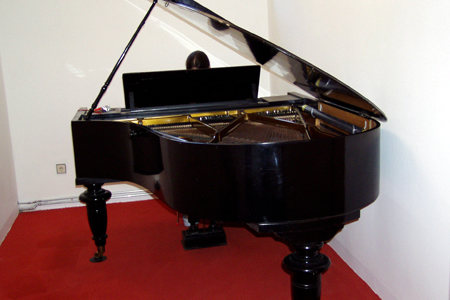 One room is equipped with a grand piano, the other one with a piano. The third room is for those who want to practice their own instruments without disturbing the other students. Our house offers a gym, a solarium, a parking lot for cars and room for bikes in front of the house and in the basement. Additionally you will find a TV and communication room in every floor. You will find a laundry with two washing machines and a dryer. In the adjacent room there are several clothes horses that you can use as well as an ironing board.